Moscow is surprised at the opening of NATO’s corners in the Caucasus country. Meetings with the Incident Prevention and Response Mechanism (IPRM), which involves Russian border guards and EU monitors, are regularly held in Ergneti. So, by choosing that village, it will allow Tbilisi to get NATO involved in settling the notorious “problem of Georgian territorial integrity” one way or another, the spokesman said. He wondered why the neighboring states – Abkhazia and South Ossetia – were not asked for their opinion. The information center is funded by the Georgian government to promote the idea of Tbilisi’s accession to NATO, Lukashevich recalled. NATO’s “corners” have been recently opened in schools and universities to inform Georgian students on the alliance’s goals. 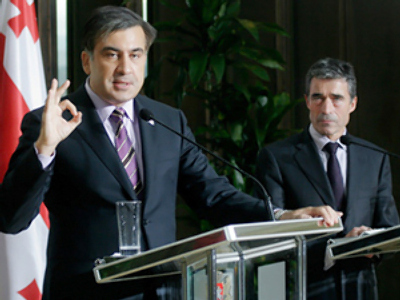 The organization’s Secretary General Anders Fogh Rasmussen, who visited Tbilisi in October last year, said that NATO door was open for Georgia. 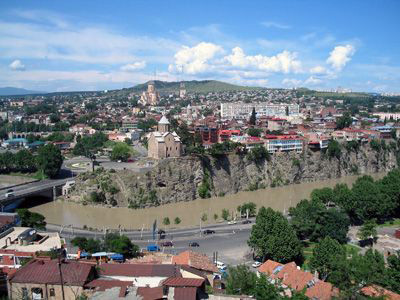 The country “will become a NATO’s member,” he said, promising to help Tbilisi achieve standards required for admission. However, two years ago at a NATO summit in Bucharest Georgia was not granted the Membership Action Plan, the first step on the path to the accession.